The master of arts in higher education and student affairs (MA HESA) program offers a professional pathway to advance your career goals as an effective administrator, educator, and leader in higher education. Whether currently employed in higher education or seeking a new career, the MA HESA provides professional faculty experts, real-world experiences, and opportunities to explore career options. Designed for working students and professionals, evening programming options include full-time (two-year completion) or part-time study options, rolling admissions to meet your start date needs, and courses in three semester terms: fall, spring, and the July summer session. Meeting face-to-face with faculty, you will be mentored and advised according to your individualized study plan. The MA HESA program is aligned with the American College Personnel Association (ACPA) and National Association of Student Personnel Administrators (NASPA) professional competencies. Credits and Length: The 30-semester-hour program is designed to be completed in 2 years. Students enroll in 6 semester hours of credit in three contiguous semesters (fall, spring, and summer) during consecutive years of study. Part-time options may be planned individually based on consultation. State-of-the-Art MA HESA Curriculum: All students in our program experience a learning model that bridges theory, best practices, and applied research for immediate impact on the profession. Accessible and Affordable: Courses are delivered on the UP campus one evening a week. The School of Education offers programs at some of the lowest tuition rates in the metropolitan area; all programs are eligible for federal financial aid, and no application fee is required. Current graduate program tuition rates may be found here. Doctor of Education (EdD) Option: If you have already earned a master's degree and your goal is to become a HESA professional, you may apply to the EdD program and, if accepted, select HESA as your area of concentration. The EdD program offers an innovative program for advanced leadership with areas of concentration options based on career goals of applicants. For more information about doctoral studies with a HESA concentration, consult the EdD program page. Post Master's Certificate Option: If you have already earned a master's degree and your goal is to become a HESA professional but you do not wish to pursue an EdD degree, you may apply to the post master's HESA certificate program. Information, Consultation, and Advising Sessions: Applications are reviewed throughout the year, as this program has a rolling admissions process. Applications deadlines by term are August 1 (fall entry), December 1 (spring entry), and June 1 (summer entry). Check this MA HESA program page for updates on dates and times of information sessions. For general questions about the MA HESA program, to RSVP for an upcoming information session, or to schedule an individual consultation and advising session with the program faculty advisor, please contact Chris Greene at greenec@up.edu or 503.943.8534. Dedicated Faculty and Professional Network: Program faculty hold advanced degrees and have executive work experience in higher education. "Eduardo Contreras, Jr., Ed.D., serves as the Director of Studies Abroad program and an affiliate faculty member for the MA HESA program. He holds an Ed.D. from Graduate School of Education at Harvard. 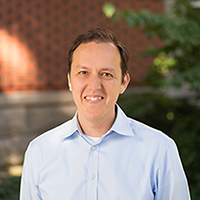 Dr. Contreras' expertise in international education and his experience in studies abroad will contribute to the advancement of UP's School of Education MA HESA program. " 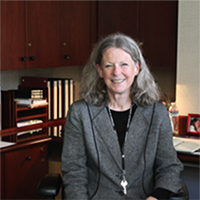 "Roberta "Bobbi" Lindahl, M.B.A., serves as the Registrar and an affiliate faculty member for the MA HESA program. As the Registrar, she is responsible for comprehensive data systems and policies regarding course registration, transcripts, class rosters, classroom requests, and graduation requirements. " Click here for our full faculty page. The MA HESA program is designed to prepare students to be impactful higher education practitioners through: professional skill development, practical experiences, practica, program development, evaluation, and assessment based on best practices. Forming the next generation of visionary leaders for postsecondary education, the program educates the mind and heart in service to the world in the Catholic and Holy Cross tradition. The courses listed below are required to complete the MA HESA degree requirements. Complete the Application for Graduate Admission form online. There is no application fee. An official transcript sent directly to the University of Portland Graduate School showing all college credit attempted and/or completed from each college and university previously attended. Transcripts from foreign universities must be in English or be accompanied by an English translation certified as authentic. Evidence of possession of a undergraduate's degree from a national accredited institution is required. All official transcripts submitted become the property of the University and cannot be copied or returned to the applicant. Evidence of scholastic background that indicates ability to do satisfactory graduate work. Usually this is considered to be a minimum of a B average (3.0 on a 4.0 scale). Submit a current professional resume listing positions that you have held for three months or longer, including your current position. In the event that your application requires further reviewing, qualified applicants may be invited to interview with members of the School of Education faculty. Please note: All application materials must be submitted to the Graduate School. To begin your application, go to the Graduate School's website. Candidates accepted into the program are expected to have their own computer and access to the internet. All sessions are held 6 p.m. - 7 p.m. in the Franz Hall Siegfried Room (#452), except for the *March 19 session, which will be held in Franz Hall Murphy Conference Room (#426).